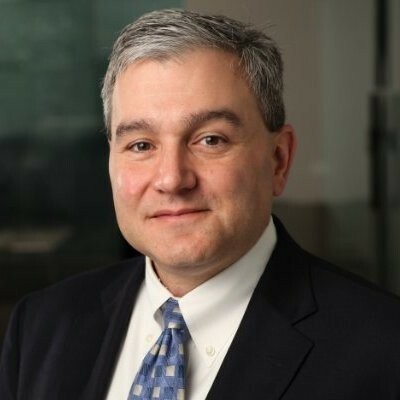 Alex Seidita is senior vice president of enterprise architecture and chief technology architect for MetLife. He also serves as the interim CIO for Latin America. Alex is responsible for driving architectural principles, technology standards, architectural roadmaps, reference architectures, prescribed technology stacks, emerging technologies & vendors, and architectural governance for the company, globally. He also provides business and product technology consulting and drives global platform strategy - including technology foundation, service oriented architecture, and platform/technology rationalization. Mr. Seidita has nearly 25 years of IT experience in a variety of technical leadership roles. He has worked and led teams in multiple industries, including telecommunications (terrestrial, cellular & satellite), financial services, military avionics, retail, and insurance, and he has held leadership roles at such companies as Citibank, The Home Depot, First Data and others in IT infrastructure, IT architecture, software engineering, IT services, data warehousing and business intelligence. Prior to joining MetLife, Alex was the chief architect for First Data’s merchant business. Alex created an enterprise architecture team covering infrastructure, information, application, and business architecture, and helped First Data evolve its service oriented architecture and business process management practice, thereby driving agility as well as more cost effective and higher quality solutions. Under his leadership, First Data was named a winner of the 2011 Enterprise Architecture Award, by InfoWorld and Forrester Research. Prior to First Data, Alex spent eight years at the The Home Depot, holding multiple leadership positions with increasing responsibility. He was the head of data warehouse technology, and led the technical effort for architecting, designing, and building The Home Depot’s Enterprise Data Warehouse. He then has the head of IT data architecture, where he provided thought leadership and architectural direction in the areas of data modeling, master data management, data stewardship, data integration, database technology, and business intelligence. He then became the head of enterprise architecture and chief architect for the company, where he led architectural direction, including architectural principles, models, standards, and governance, as well as research & innovation, device engineering, data modeling, and enterprise master data management. He also began leading the Strategic Store Infrastructure (SSI) initiative, which focused on replacing the server and storage infrastructure in 2000+ stores with a commoditized, virtualized, and consolidated infrastructure. Finally, Alex additionally became responsible for mid-tier engineering and IT services. This included Unix & Windows engineering (engineering and support for ~4,500 data center servers and ~14,000 store servers), email, instant messaging, application virtualization, file & print, enterprise monitoring, device engineering, operational tools, application platforms, enterprise identity management, directory services, software provisioning, portals and enterprise content management. Prior to The Home Depot, Alex led a software engineering team at Smiths Aerospace, focusing on real-time embedded systems in the military avionics space. He led the software engineering team for data transfer systems on the Kiowa Warrior (OH-58) helicopter (surveillance and light attack aircraft), F-16, F-22, Eurofighter and a number of other military aircraft. Alex earned a bachelor’s degree in computer science from Florida Institute of Technology. Although Alex was born and raised in Northern New Jersey, he is a full-blooded Italian (his full name is Alessandro Giuseppe Seidita). His parents emigrated from Palermo, Sicily in the 1960s. Alex has been married to his wife, Grace, for nearly 16 years, enjoys Robotics with his 14-year-old son, Dominic, and going on daddy-dates with his 11-year-old daughter, Samantha. He likes mountain biking and playing baseball/softball. He and his family very much enjoy traveling as a family to exotic international locations. They are also all big fans for the New York Yankees. Finally, September 19 is a very special date for Alex and his family. He and his wife were married and both of his children were born on that date.